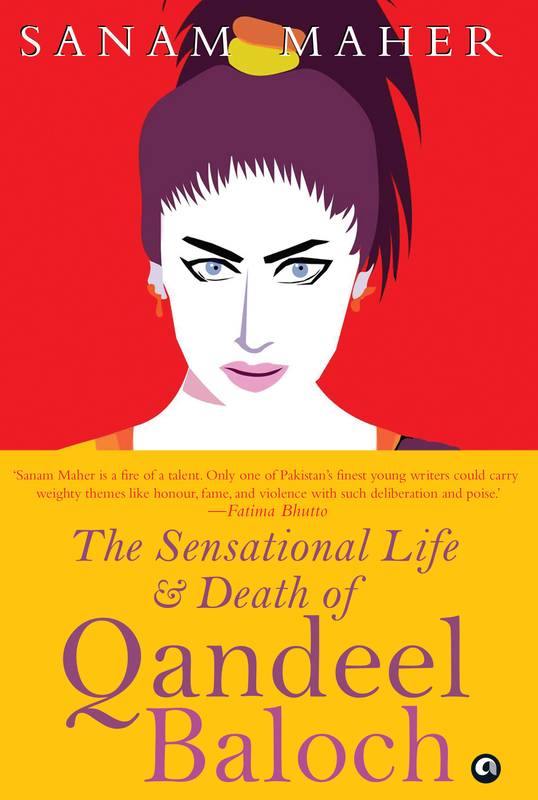 An interview with Sanam Maher, author of ‘The Sensational Life and Death of Qandeel Baloch’, about the exceptional subject of her book. Qandeel Baloch, Pakistan’s first social media celebrity, was murdered on July 15, 2016 in her parents’ house in the village of Shah Sadar Din by her brother, Waseem, at the height of her fame, and a day after she told a reporter that she feared for her life. Waseem confessed to the murder, anticipating minimal punishment for a killing that wasn’t uncommon in their village. The story caught the world’s attention – a young woman’s hugely popular videos and posts had been ridiculed and criticised in equal measure in the preceding months, and it had led to her murder by a brother who declared that “girls are born only to stay at home and bring honour to the family. My sister never did that.” Qandeel’s parents didn’t agree with their son, and turned against him. It was by no means a simple story, and many thought it showed a shift in attitude towards honour killings in Pakistan. Sanam Maher, a Pakistani reporter whose work has appeared in Al Jazeera, Buzzfeed and the New York Times, has written an intelligent, balanced portrait of the complex and largely unapologetic Qandeel in The Sensational Life and Death of Qandeel Baloch. Qandeel’s most talked-about posts included a promise to strip for the cricketer Shahid Afridi if he clinched a match against India, and a marriage proposal for the veteran cricketer Imran Khan as his divorce proceedings were being reported in the press. Towards the end of her life, she saw herself as a feminist who was vilified for having progressive views. What made you want to write a book about Qandeel? The first time I heard about Qandeel was in the newsroom of a daily English paper in Karachi, when a couple of guys who worked at the desk with me were talking about her viral “How I’m looking?” video. I looked her up and the little that I did see led me to want to do a story on how young women are using platforms like Facebook and Instagram to push the envelope on how they can dress, speak or present themselves in Pakistan. The piece was never written, lost somewhere between deadlines and switching jobs. However, the idea stayed with me, and I told myself I’d have time to do it later, to meet Qandeel and to find others like her. In July 2016, I remember staring at the television the day news of Qandeel’s murder broke, and feeling stunned. I didn’t want to let go of her story again. 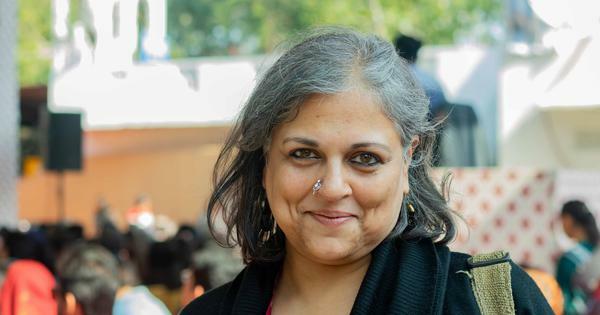 The idea of this woman who had managed to fool all of us – her audience and the media – and who had created this persona that we had bought into wholesale took root. I admired her gumption and the courage it must have taken to create the persona that she did. It was a moment when I was seeing friends and family members draw a line and very firmly position themselves on either side, and I think the last time I’d seen something like that happen – a moment that calls for definition or clarity on the question of how we see ourselves as Pakistanis and what we hope for or believe we deserve – was when Salmaan Taseer was shot and killed in 2011. I wanted to tell a story not just about Qandeel, but about that moment. I knew that this wasn’t just about Qandeel, but about the kind of place that enabled her to become who she did, and the place that ultimately found that it could not tolerate her. Much of how Qandeel is now perceived was put in motion by her death – “before her time”, “modern”, “feminist”, “victim of misogyny”. Do you remember what you thought of Qandeel and her posts while she was alive? How did that change after her murder? I remember that when I saw the “How I’m looking?” video, and then her “trailer” for the striptease that she promised to do if Pakistan beat India in a cricket match, I wondered what it was about her that had us transfixed. What she was doing was clearly working for her, in that she had our attention. Why was that? So I was – and remained, after her death – curious about why she went viral and about the audience that created a viral star. As a reporter in Pakistan, what do you think of Safdar Shah’s claim that a better socio-economic status would have changed how people saw Qandeel and could have prevented her murder? I think a “better status” could have possibly insulated her against the attacks she faced, and might have helped her to find a community to support her. If we’re looking at this in terms of socio-economic status, lets take the example of an actress like Mahira Khan. She was photographed smoking a cigarette with an Indian actor last year and that triggered a stream of abuse and threats against her. I feel that it might have been easier to face something like that with a professional team in place (including managers and public relations teams), a network of friends and family members, and of course, the best security possible. We saw well-known members of the entertainment industry both in India and Pakistan speak in support of Mahira, and for every hateful comment made against her on social media, we were also seeing comments from men and women who were calling out the haters. After her death, Qandeel was praised by many men and women as a feminist and an example of a liberal, modern Pakistani woman, but many of those people had vilified her or simply ignored her while she was alive, even when she spoke out about death threats she was receiving. Qandeel used to say that she was the daughter of a very rich landowner – it’s a little fib that she would tell about herself in many interviews and in videos that she made. I think she knew the double standards we have as an audience about who is “allowed” to behave in a certain way and get away with it, and who is criticised as “low class” and “cheap”. In terms of her murder, I don’t know that a “better socio-economic status” could have prevented that – if we just look at the fact that someone like Salmaan Taseer, the governor of one of the richest provinces in Pakistan, was shot dead by his own bodyguard for what he perceived to be behaviour that merited “punishment”, then we can clearly see that money can only protect you to a certain extent. To understand how Qandeel’s murder could have been prevented, I think it’s important to consider what led to it, and it certainly was not just her socio-economic status. I was puzzled by the fact that both Qandeel and Nighat had brothers who were more conservative than their fathers. Are there reasons or theories about why this happens? I wondered about that as well. I hoped that when I met Qandeel’s father, Muhammad Azeem, I would get some clarity on that. As you read in the book, when I tried broaching the subject of what Qandeel might have done in order to support her parents and brother financially, Azeem was very firm about ending that line of questioning. His response was, “Allah is the one who gives”. Anytime I would try to approach the subject of how Qandeel might have supported herself, her parents were vague or unwilling to talk. They speak with pride about her achieving her dreams of becoming famous, becoming a singer and a star, but I wonder how they feel when they see her videos or photographs from social media splashed on the news or in documentaries about Qandeel. With the two families – Nighat’s and Qandeel’s – there are different motivations for the brothers to behave as they did. At the root of both, however, seems to be the fear of public judgement. Pakistani women seem to bear the weight of expectations when it comes to determining how we would like the world to view us, and as we have seen in the aftermath of Qandeel’s murder, many women are coming forward to say they are fed up with shouldering that burden. One of the most compelling things about your book is that it allows us to understand regions in Pakistan outside the major cities, like the town of Dera Ghazi Khan, which bears no advertisements with women in them, and the village of Shah Sadar Din, where Qandeel grew up and where women are routinely murdered. Are these places otherwise covered in the media? Or did Qandeel’s high-profile murder temporarily push them into the limelight? We need to see a lot more local reporting from these areas and to invest in coverage of these towns and villages. If we just think of Shah Sadar Din, Qandeel’s connection to the village was a big draw for the media at the time when it was revealed that she was from there, and then when she was murdered, and her funeral was held there. It was that limelight that led to resentment and anger from many in the village – they felt that she was “giving them a bad name” and that the name of the village had been sullied by its connection with her. In the time since Qandeel’s murder I cannot recall seeing Shah Sadar Din in the news – or specifically in the English press – other than on the anniversary of her death or in one or two follow-up interviews with her parents. After her death, her gym instructor thinks back upon their conversations and reminds himself that “attention is worse than heroin.” Can you talk to us a little about whether you think Qandeel was as trapped by the attention as she was empowered by it? The attention Qandeel was getting was a means to an end. She needed it to translate into greater opportunities, a career that she so desperately wanted and a better life for herself and her parents. She was very good at understanding what we would want to see, and sometimes used the social media strategies she saw women in India or America employ to get greater attention, often even using their exact words in her videos or Facebook posts. I can’t say whether she was “trapped” by the attention, as she actively sought it and seemed to understand what it could do for her, even bragging in private phone calls about becoming the “top model of Pakistan” and citing the attention she received when negotiating amounts that she was being offered to appear in music videos. As for being empowered by it – I don’t think we were given the chance to see just what she would do with the tremendous attention she got in the last month of her life and just how empowering it could be for her. A few months before her death, her image of herself as a modern feminist had begun to find some limited resonance. Is it possible that in a few years she would have been more widely accepted in Pakistan, that she may have enjoyed the same fame and fortune as the Kardashians, whom she is sometimes compared to? The Kardashian connection is tenuous at best – she certainly did not enjoy the privilege or access that they have, and Issam Ahmed, the journalist who called Qandeel Pakistan’s “Kim Kardashian-type figure”, has since spoken about how he feels that analogy was inadequate. 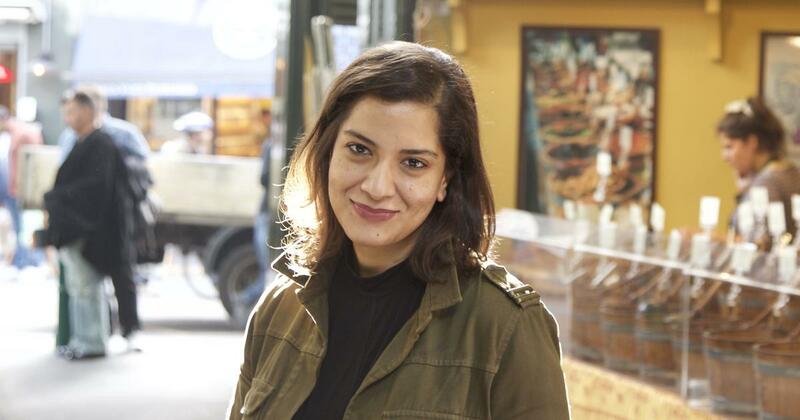 I think she had great plans for herself – if you listen to her last conversation with Safdar Shah, you see that she even toyed with the idea of a career in politics. She mentioned in some interviews that she wished to set up an organisation or a platform for women who wanted to enter show business, so that they might not have to face the hurdles she did. The offer to perform at the Lux Style Awards felt like a turning point in her career, and I truly wish we had been able to see what she would have done with the attention she would have received after that. She had been “outed” as the survivor of an abusive marriage, as a mother to a young boy, as the sole supporter of her parents and a woman who had truly fought against the odds to make a life for herself – what would she have wanted to do next? When she made her next video, would she continue to speak to us as Qandeel or would she be Fouzia once more? And would we have continued to be interested in what she had to say, or were we just there for the woman with the funny made-up accent who said she loved Imran Khan and promised to “do something that will get everyone worried”? In your introduction, you write that you hope readers will walk away with questions, that they will be suspicious of “anyone trying to sell…the real story of Qandeel Baloch”. You’ve spent about sixteen months working on this book. What do you think Qandeel would have thought of a book on her life? I thought about that at so many points while working on this, and particularly when considering the privilege, I enjoyed in having the opportunity to write this book. I never set out to “reveal” Qandeel’s life. As I mention in my introduction, I’m very wary of someone trying to sell me “the real story of Qandeel Baloch” or “the inside story” of her life now. Qandeel was a chameleon, and she presented different parts of herself to different people. Even after all this time, Qandeel is still a cipher to me. With every new piece of information I received about her, I would feel, “Yes, this is it, I understand her now,” only to learn something else and be utterly confounded again. It’s also the reason that I pushed to have Qandeel’s words verbatim throughout the book, every time someone makes an assertion about her or any time a source states something about her as fact. In fact, there’s many sentences scattered throughout the book where you might not even be aware that you’re reading Qandeel’s words, not mine – I tried to keep intact the ways in which she spoke, how she described herself or seemed to think of herself, and it was a very small way for me to keep her voice in her story, to allow her to talk back to whoever is reading it. With all the news reports, gossip, TV shows and documentaries, I think many of us feel we already know Qandeel’s story – it has been difficult trying to tell a story that people feel they already know, but ultimately, I realised just how little I myself knew, even after poring over every piece of information I could find out about her before I travelled to Punjab and started my own research and interviews. What we know so far has been coloured by the media frenzy around Qandeel’s murder. I never wanted to speak on Qandeel’s behalf and there were many times when I learned something about her that I chose to leave out of the book – I wanted to be respectful to her, but more importantly, to not cater to those readers who would pick up the book wanting to know “the real story of Qandeel Baloch”, because when they say that, they mean, “I want to know all the salacious details”. I’ve tried to remember always that when the details of Qandeel’s “real life” came forward, it was by force – she never wanted to reveal her real name, or the fact that she had a son and an ex-husband – and something that was deeply distressing for her. I hope that by the end of the book, my reader leaves knowing a bit more about themselves and the place we’re living in, rather than every juicy, dirty detail of a woman’s life. I hope that that’s something Qandeel would have appreciated, and I hope she would have liked to see how her story resonated so deeply with so many men and women in Pakistan, and how some girls in show business do not aspire to be the next “Kim Kardashian of Pakistan” but rather, the “next Qandeel Baloch”.